In the recently established wine region near the country town of Vermaaklikheid along the Cape South Coast, the Joubert family has established itself as a pioneer wine producers with their unique range of Baleia Wines and Olive Oil, showcasing true pioneering energy, commitment, passion and family values. Their premium flagship wine, the Baleia Erhard Pinot Noir2014 symbolises the Joubert family’s close ties and values as the wine is named for Erhard, son of owners, Jan-Hendrik and Lindi Joubert. Pure limestone and the Mediterranean climate conspire to make this wine truly unique. It has a delicate fresh hay and voluptuous strawberry nose. The palate combines softness and rich tannins that ensure the wine will age well for ten years and longer. Rich and velvety, this wine is simply a profusion of classic beauty. Following their inaugural harvest on the farm Dassieklip in 2011, a brand name was needed to market their range of wines and they suitably came up with Baleia Wines. It was inspired by the Portuguese word for whale and is directly related to Dassieklip’s proximity to St. Sebastian Bay, affectionately referred to as “South Africa’s whale nursery” due to the annual presence of large numbers migratory southern right whales. It is also one of the best land vantage points from where to view these gentle giants of the ocean. Dassieklip, home to the Baleia Wines’ vineyards, was specifically selected for its limestone rich soil and close proximity to the ocean. A delicate sea breeze regularly sweeps across the vineyards; lowering the temperature and ensuring only the best quality grapes are grown here. 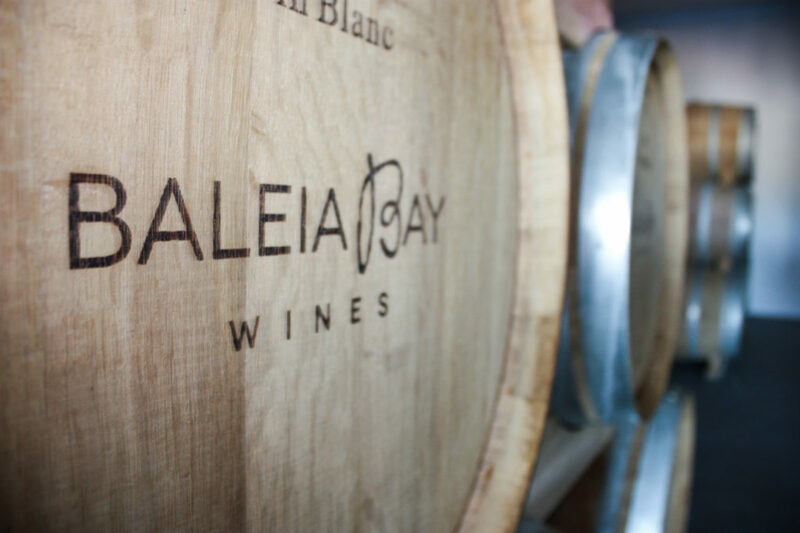 This perfect union of limestone rich soils and cool ocean air combines to ensure that each bottle of Baleia Wines is testimony to their dedication and passion for a superbly crafted wine. This passion was recently showcased by numerous awards fostering Baleia Wines as a newcomer to be reckoned with in the South Africa wine industry. Following careful consideration, the Joubert family planted Baleia Wines’ first block of Pinot Noir, Shiraz and Tempranillo in 2009. Sauvignon Blanc and Chardonnay soon followed suit. As one of the first wine producers in their region, this pioneering estate learnt many valuable lessons. They soon realised that their specific terroir offers ideal conditions for the cultivation of Pinot Noir, Chardonnay and Sauvignon Blanc and in 2011 they expanded further focusing on these respective cultivars. 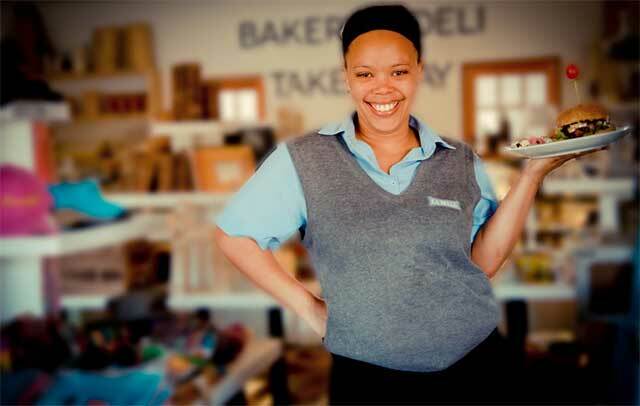 LaBella Restaurant & Deli, situated next to Baleia Wines cellar is owner run by Lizeth Joubert, the younger sister of Jan-Hendrik Joubert, owner of Baleia Wines. La Bella offers daily delicious homemade meals and freshly baked products in a child friendly environment suitable for a quick leg stretch or long lazy lunch while travelling along the beautiful Garden Route. The deli and curio section makes it a worthwhile stop and you can walk over to Baleia Wines to stock up on top quality, well priced wines and olive products. Baleia Wines cellar is conveniently located next to the N2, approximately 1km from Riversdale towards Mossel Bay.